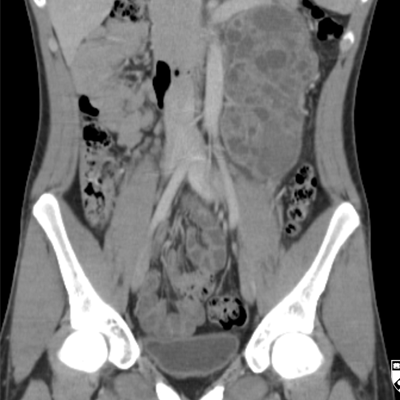 A patient with an incidental finding while undergoing CT to assess a ureteral stent. 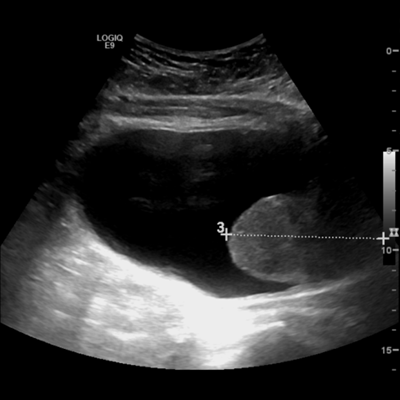 A 66-year-old woman with a history of renal cell carcinoma presents with abdominal pain. 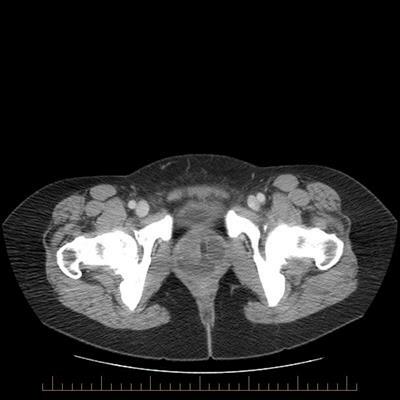 A 19-year-old man with abdominal pain. 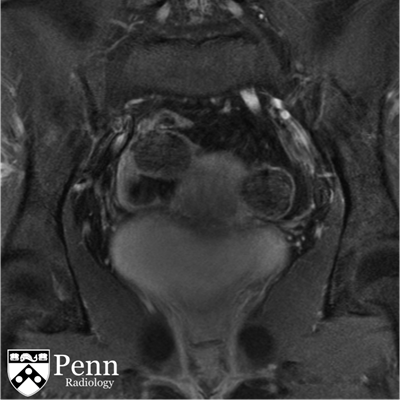 A 27-year-old man with years of intermittent left scrotal pain, worsening over the last two years. 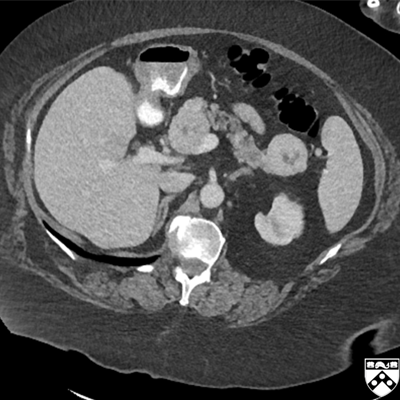 A 71-year-old woman with hematuria and left flank pain. 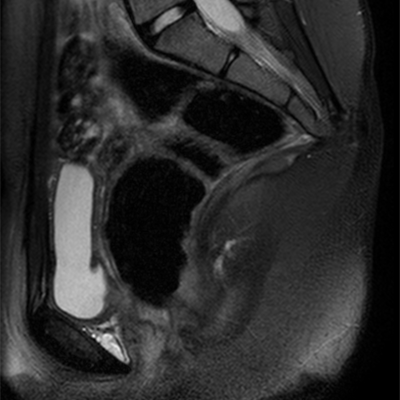 A 16-year-old girl with amenorrhea and cyclical abdominopelvic pain. 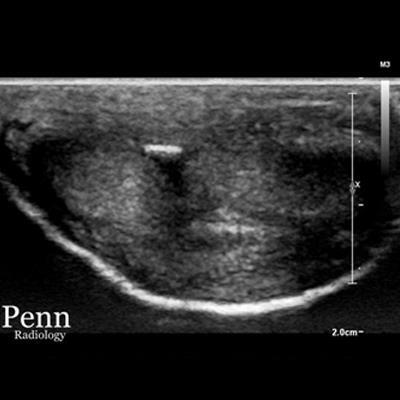 A 32-year-old man presents with groin and axillary pain. 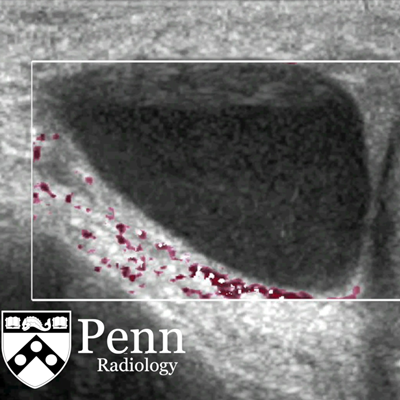 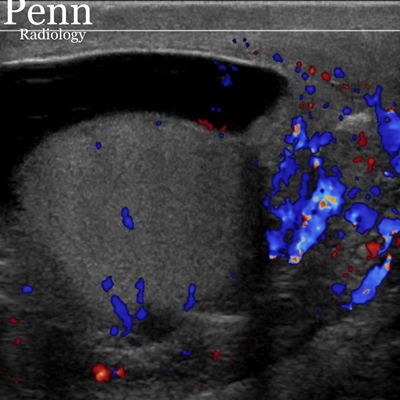 A 36-year-old woman undergoes a routine renal ultrasound scan one day after renal transplant. 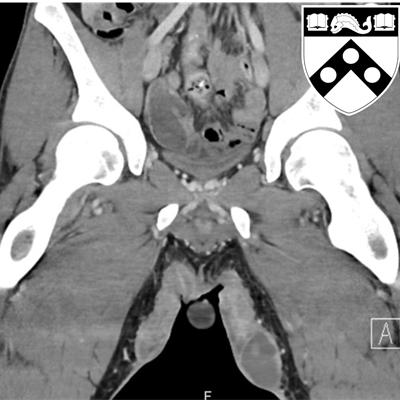 A 23-year-old man with worsening pain of the right testicle. 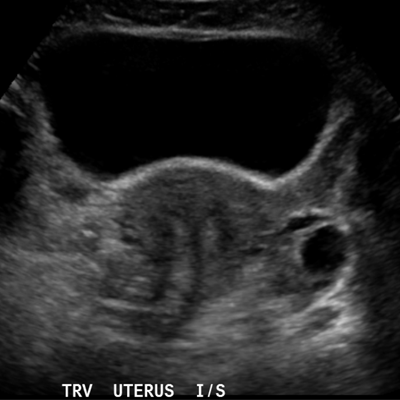 A 47-year-old woman presents with urinary retention. 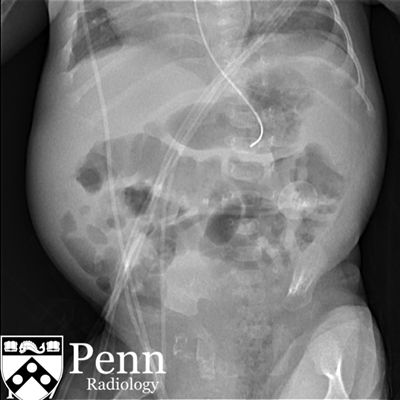 A 2-month-old male infant born at 30 weeks with irritability. 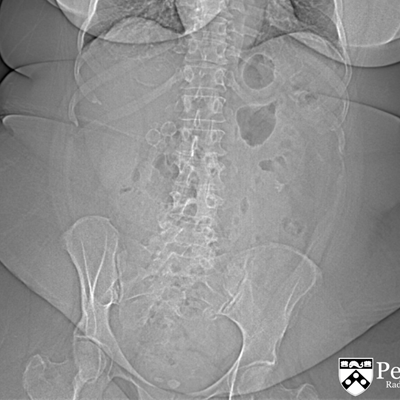 An 18-year-old woman with personality change, headaches, and unusual movements and breathing. 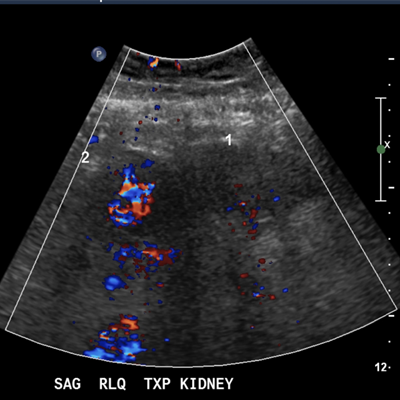 A 42-year-old man with acute right testicular pain and blood-tinged urine.